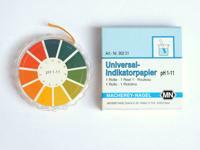 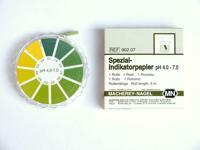 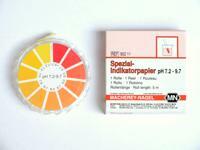 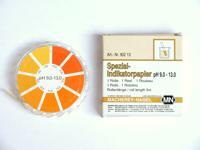 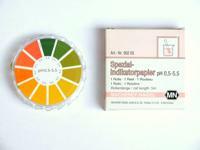 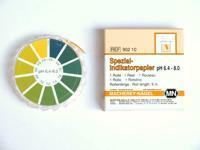 Papers, fully impregnated with one indicator dye or a mixture of several indicator dyes. 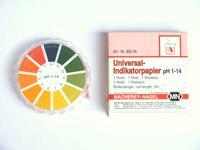 They offer an inexpensive way of measuring pH in most applications. 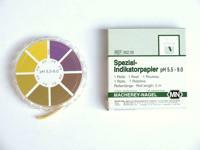 These papers should not be used in poorly buffered solutions. 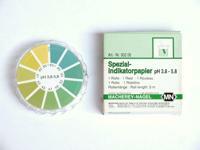 Instead pH-Fix strips are recommended for those applications.